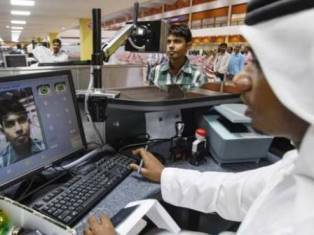 Abu Dhabi: The UAE Government will start security background checks of foreign workers from February 4, official sources said. The screening is applicable only to new work visas. The source said the move was adopted after many labour cases showed some foreign workers had involved in criminal offences or wanted for their home countries. The source clarified if the applicant for a work permit has lived and worked in more than one country in the past five years, a certificate of good conduct from each country must be produced. “For residents born and lived in the UAE until they apply for a job, they will not be required to present a good conduct certificate,” the source said. However, the source said, those born and lived in the UAE for a while but left for home or other country before applying for a job, must produce a good conduct certificate from their home country or the country of their residency for work, or study, for the past five years. The good conduct certificates must be certified by the UAE’s missions abroad or attested at customer happiness centres of the Ministry of Foreign Affairs and International Cooperation. The security screening is only mandatory for job candidates but not their dependants or family members. A committee made up of representatives of the ministries of Interior, Foreign Affairs and Human Resources and Emiratisation said in a statement the new procedure was part of the UAE Government’s efforts to create a more secure community. It said this condition was “part of the process of updating and developing government policies, to achieve the highest level of security for those residing in the country, in a secure, peaceful and happy community”. Conducting background security checks on foreign workers was approved in principle by the Cabinet in October 2016. Al Rahoumi said he did not feel safe without knowing the background of each workers. He wanted to make sure every chauffeur that drives his family’s car is free of a criminal record. “It comes down to authorities conducting security checks before issuing work permits,” he said. The heads of the Indian, Bangladeshi and Indonesian mission welcomed the development, but said they need to get a clear idea of its modalities.